Only for a period of promotion, if you want to buy, please order early, after promotion time the items will restore the standard price! Quality assurance is our mission! When you choose the sets, the price will be more favorable, the number of packages are 22 PC! 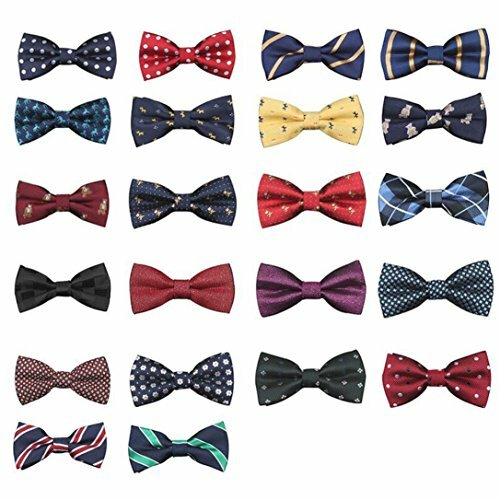 QUALITY MATERIAL: The bow ties is designed from high quality and durable material. These sets are popular between women, babies, girls, teenagers, kids, children, teens!These will be the best combination to be chosen to party! Quality assurance is our mission!If you have any questions, please do not hesitate to consult us, we will provide the best service! if you buy a lot, we will send exquisite gifts and surprises!To learn more about cute clothing, click TATGB at the top. If you have any questions about this product by TATGB, contact us by completing and submitting the form below. If you are looking for a specif part number, please include it with your message.